Note: The following story was excerpted from the April 2018 issue of Collectible Automobile magazine. Jeep’s compact Cherokee and Wagoneer proved popular after their debuts for 1984, and parent AMC was already working on a larger replacement when Chrysler bought the company in 1987. Chrysler had other priorities, so it took until the 1993 model year for the replacement to go on sale. At that point the decision was made to keep the old type in production and position the new vehicle upmarket as the Grand Cherokee and Grand Wagoneer. The imitation-wood-paneled Grand Wagoneer was the ultimate Grand Cherokee version in 1993, but the model was dropped for 1994, leaving the Grand Cherokee Limited as the top-of-the-line Jeep. 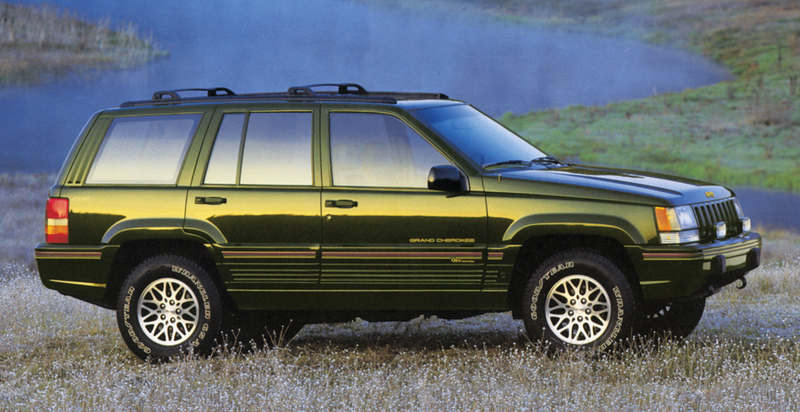 Then, for 1995, Jeep added a new variant above the Limited, the Grand Cherokee Orvis Edition. Orvis has been catering to the needs of the well-heeled outdoorsman since 1856. 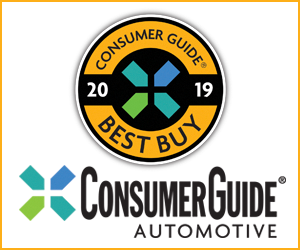 Surely mindful of Ford’s successful partnership with outdoors and casual clothier Eddie Bauer, Jeep worked with Orvis, the upscale Vermont-based retailer of fly-fishing equipment and outdoor clothing. A story in the November 7, 1994, issue of Ad Age briefly described the collaboration. Orvis was said to see the Jeep project as an opportunity to increase exposure for its long-running brand, while Jeep saw potential in marketing to Orvis’s presumably well-to-do customers. The Orvis Edition Grand Cherokee wore Moss Green paint, with “Maize” gold and Roan Red stripes accenting the lower-body cladding, Orvis Edition callouts on the front doors, and Moss Green accents on the aluminum wheels. The leather-and-vinyl interior followed a two-tone theme of “Champagne” tan and dark green with Roan Red detailing. There were Orvis medallions on the door panels, and the company’s logo adorned the front floor mats and the specially designed spare-tire cover that included a storage net and pockets on the outer surface. The Orvis trim was about a $750 premium over the Grand Cherokee Limited. Jeep’s 4.0-liter straight six rated at 190 horsepower was standard. The optional engine was a 220-horse 5.2-liter V-8. The Orvis came with Jeep’s Quadra-Trac full-time four-wheel-drive system as part of the deal, along with the Up Country Suspension Group that added upgraded hardware and tires, skid plates, and tow hooks. All Grand Cherokees were facelifted for 1996, and the Orvis Edition detailing was tweaked. Outside, the new body cladding lost the accent-color stripes, and there was a fresh wheel design. Inside, the Grand Cherokee’s updated interior received subtle revisions to the tan-and-green color scheme. Moss Green continued as the lone exterior color. The last of the Orvis Grand Cherokee specials came in 1997. In addition to Moss Green, buyers could choose a silvery metallic called Light Driftwood Satin Glow. Various sources give the following production totals for the Grand Cherokee Orvis Edition: 1995, 10,020; 1996, 2341; 1997, 2733. 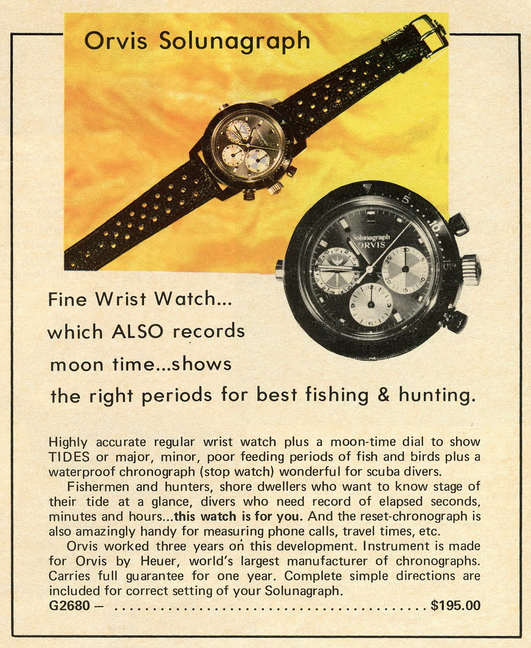 We were not able to locate any reviews of the Orvis Edition in our collection of period magazines. However, in the March 1993 Car and Driver, Patrick Bedard compared a Laredo V-8 to a Swiss Army knife and a pair of Timberland boots, making the point that the Grand Cherokee combined “well, you never know . . .” capability with the ability to make a fashion statement. That might be an even more apt description of the Orvis. the need to be special with enough restraint to keep from going over the top. The Grand Cherokee was one of the better SUVs of its era. If you’re not into tan-and-green interiors, there’s nothing to see here. Upright spare tire mounted in cargo hold eats up storage space. It’s a Jeep thing; not everyone will understand. Based on the loaded Limited model, the Grand Cherokee Orvis Edition added a tastefully detailed interior theme, along with some subtle exterior tweaks. While this collaboration isn’t as well known as Ford’s Eddie Bauer models, we think this Orvis-trimmed Jeep is a fine choice for outdoorsy cheap-wheelers on a Timex Expedition budget. Written by: The Daily Drive staff on October 2, 2018.on March 22, 2019.